Wpisy na KG i Forum mogą być jako w jezyku polskim, tak i angelskim. Copyright Order of the Knights of St.Stanislaus. All Rights Reserved by the Order of the Knights of St.Stanislaus. No part of this copyrighted website may be reproduced in any manner without prior written permission of the copyright holder, including distribution via electronic means such as e-mails or Internet. 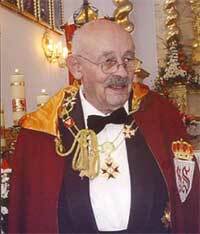 All third party content is used under licence of Webmaster of the Order of the Knights of St.Stanislaus.